The clean, open five-spoke Mandrus Estrella is a star—literally! The clean, open five-spoke Mandrus Estrella is a star—literally! The monoblock casting methodology we employ to manufacture Estrella Mercedes wheels, using a proprietary hardened aluminum alloy, enables us to achieve such design details as the recessed channel that emanates from each bolthole to the edge of the wheel lip. The spoke array is stepped down into the barrel to create a dashing dimensionality. Mandrus Estrella Mercedes rims are available in 17 as well as staggered 18, 19 and 20-inch diameters, all in two widths, one a full inch to an inch and a half wider than the other to support staggered fitments, wherein rear axles wheels and tires are larger, for improved traction and a more aggressive stance. 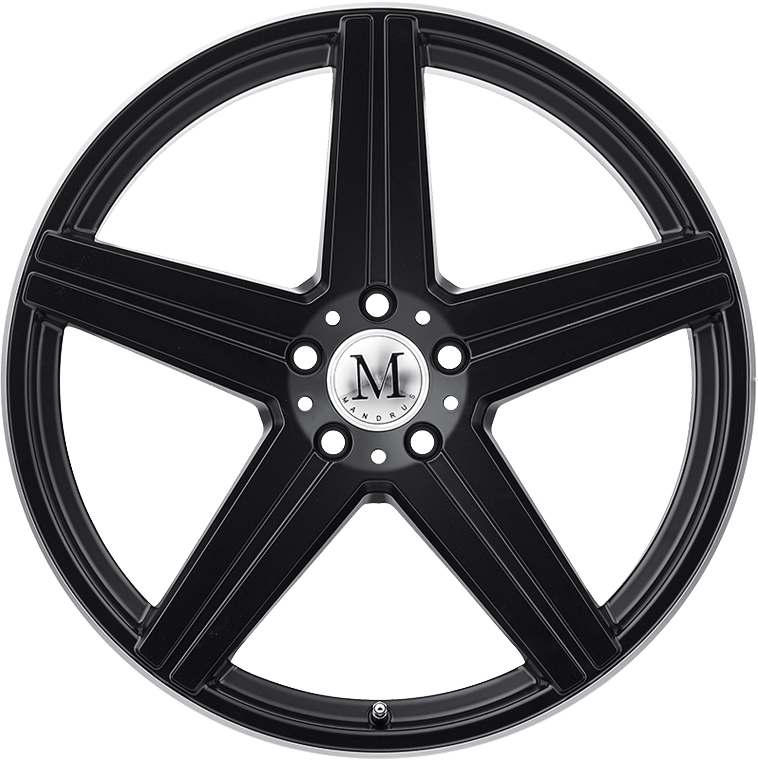 Mandrus Estrella wheels are finished in full matte black and in matte black with a bright machined face. Matte Black w/ Matte Machined Lip Edge, or Gunmetal W/ Mirror Cut Face.